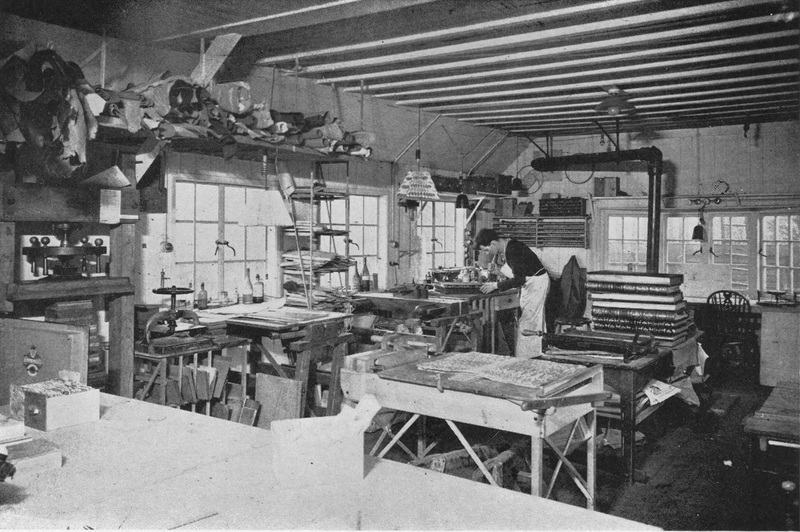 Item is a photograph of Douglas Cockerell's workshop. The photograph was published on page 45 of The Chronicle No. 222 in December 1935. “Photograph of Douglas Cockerell's workshop,” Dalhousie Libraries Digital Exhibits, accessed April 25, 2019, https://digitalexhibits.library.dal.ca/items/show/1049.